As you know, I want nothing more than to help you lead a happy, healthy, meaningful life! Yesterday was all about gratitude and today, HAPPINESS!! 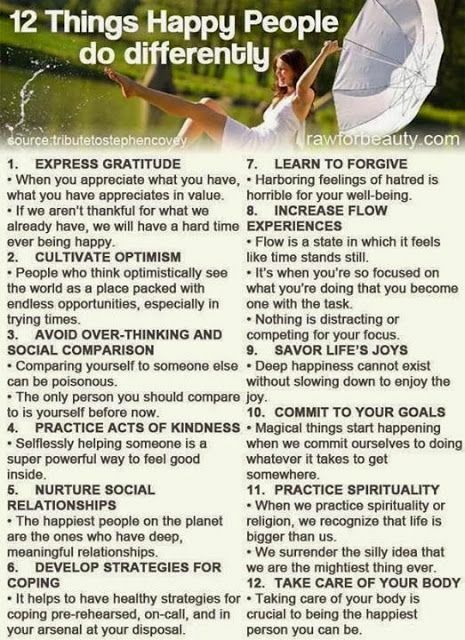 Here’s a quick read about 12 Things Happy People Do Differently. Enjoy!